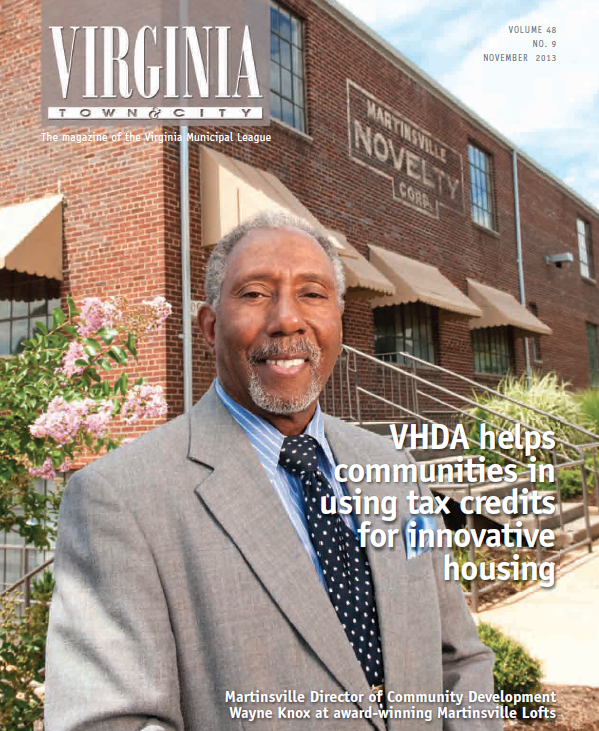 This article, written by Ann Brown, originally appeared in Virginia Town and City – The magazine of the Virginia Municipal League, November 2013 edition. “There goes the neighborhood.” It’s not a comment municipal leaders and property developers ever want to hear, especially when it’s made about a much anticipated affordable housing complex. It’s also a comment that’s much less likely to be heard when members of the property’s management team are Virginia Housing Development Authority (VHDA) certified professionals. Anticipating and handling a building’s maintenance and repairs, as well as the responsibilities to the residents of that building, is what certified property management is all about. When rental communities have certified property managers, onsite operations run smoother, buildings are better maintained, tenants are happier and the property’s economic viability is enhanced. Also enhanced is the neighborhood’s perception of the property and of affordable rental housing. "The changes in our apartment complex have now given all of us – the parents, the elderly and the children – a place that is not only nice to look at, but a happy and safe place in which to live,” said a resident of Onancock Square Apartments, a property managed by a VHDA-certified management agent. The changes in Onancock Square Apartments, located in a municipality where 37 percent of the population are renters, coincided with the 2007 implementation of VHDA’s Certified Management Agent program — an indication that quality of life in a rental community depends largely on how well it is managed. The goal of the program is to ensure quality affordable housing by setting high standards among rental property managers and making sure those standards are met. As of June 2013, some 116,943 apartments are managed by 111 agents who successfully completed the certification process. VHDA also sponsors ongoing training on fair housing, landlord/tenant issues, tax credit compliance and Section 8 compliance to help agents stay informed and maintain their certification. Beginning in 2013, using a certified property management company is a requirement for all Low-Income Housing Tax Credit (LIHTC) and VHDA-financed developments. This requirement helps ensure that the limited financial resources available for affordable housing only go to developers committed to sound property management. Response to the Certified Management Agent program has been very positive, with developers including it in every LIHTC application since 2009. Part of this response is attributed to developers realizing that one bad property can lead to NIMBY (not-in-my-back-yard) reactions in a neighborhood, while properly managed affordable rental housing becomes a true community asset. In fact, 2010 U.S. Census statistics show that roughly 70 percent of the dollars renters spend (on everything from rent to entertainment) stay within the local economy. This spending activity is vital to local and state economic growth, as well as to sustaining vibrant neighborhoods. To learn more about VHDA’s Certified Management Agent program, contact Neal Rogers at neal.rogers@vhda.com or call 804-343-5870.